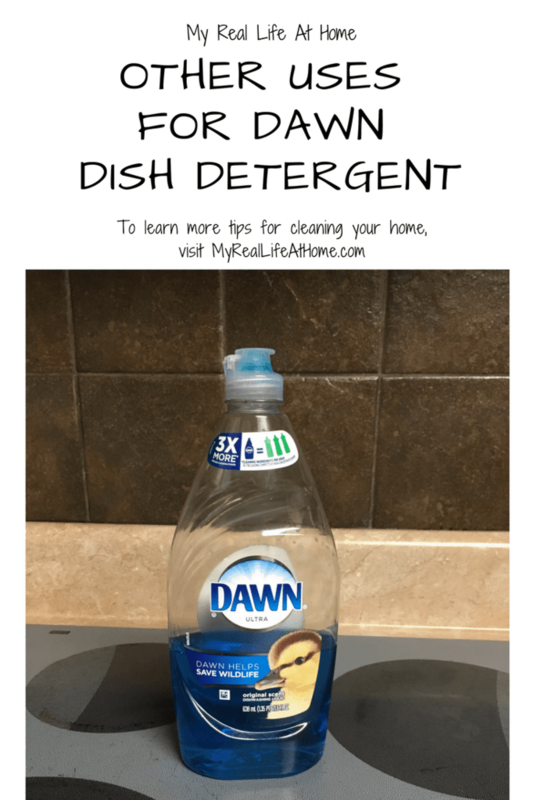 Do you have a bottle of Dawn Dish Detergent? 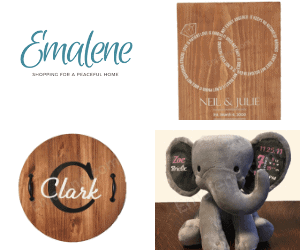 Do you like when you are able to use products for multiple purposes? If you said yes to either of these then this page may be of interest to you. Even if you said no, please take a few minutes and read this as you may change your mind. 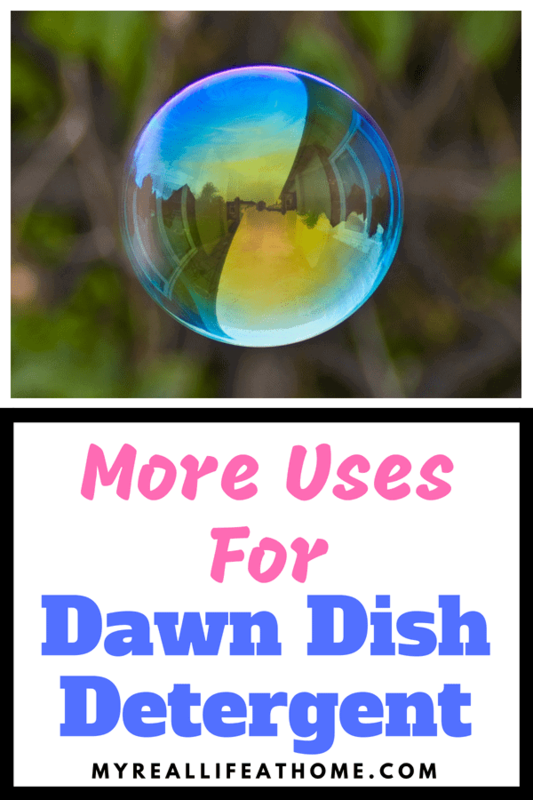 This is a list of some great uses for Dawn dish detergent. Full disclosure, I haven’t used all of these tricks however, I probably will in the future. It makes an amazing cleaner that is quick and easy to make. I use it mostly for cleaning our shower enclosure, although you can use it for sinks, tubs and many other surfaces. First, you will need equal parts white vinegar and Dawn, as well as an empty spray bottle. I purchased a basic 16 oz spray bottle and labeled it for my Dawn and vinegar solution. You can usually find a spray bottle pretty inexpensively. It doesn’t have to be a 16 oz bottle so if you already have one that’s a different size, go ahead and use it. Microwave the vinegar in a microwave safe container until it is hot and pour into the spray bottle. 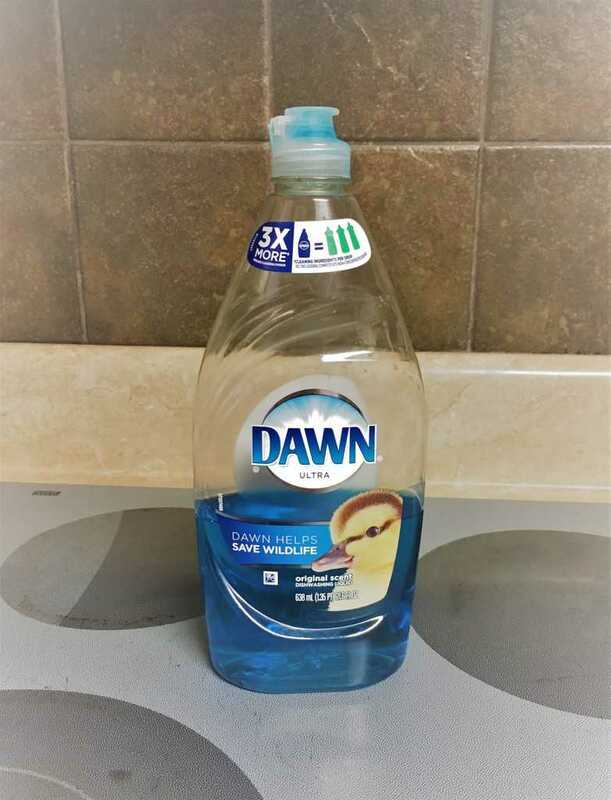 Add the equal part of Dawn detergent, tighten the lid and gently shake the spray bottle to mix the solution. Spray the solution on the shower walls and doors and walk away. That sounds too easy, doesn’t it? Actually, it is that easy. After I spray the solution, I usually let it sit for a few hours. (If you have an exhaust fan, you make want to turn it on if you don’t enjoy the smell of vinegar.) Once it is done sitting, I just wipe the shower down with a damp sponge, rinse and voila! A clean shower. Have you ever got dressed, only to realize there is a grease stain on your shirt? Usually, this happens to me on the day that I am in a huge hurry or have no other clean shirts. This is another way in which I always use Dawn detergent. It works amazing on grease stains. Even if the clothes have already been laundered, I have still had great success. Just pour a little Dawn detergent on the stain, add a little water and rub together. Rinse out the soap from your clothes and then launder as normal. I don’t always launder immediately – sometimes it may sit in the hamper for a couple days – and it still works great. Depending on the fabric, you may want to launder it immediately. 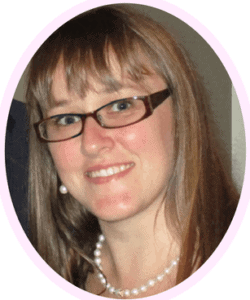 Merry Maids suggests using two tablespoons of dishwashing detergent and two quarts of water. Mix them together in a large spray bottle and you have a streak-free window cleaner. Merry Maids also suggests mixing two quarts of warm water with a few drops of dishwashing detergent to clean the baseboards in your home. If you went to my freezer right now, you would find a couple blue rectangle ice packs that I have received throughout the years from my chiropractor or doctor. You probably know the ice packs I mean, the ones that are bendable and don’t seem to completely freeze. According to Reader’s Digest, you can easily make your own ice pack with … you guessed it … dishwashing detergent. 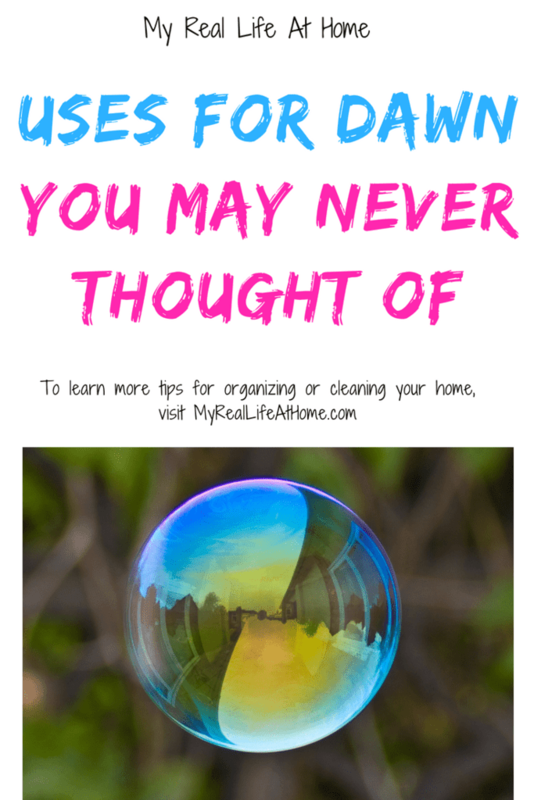 You will need a zip-top bag or vacuum-seal plastic bag (probably sandwich or quart size) and dish soap. Simply fill the bag with the dishwashing detergent about half full, squeeze out the extra air and seal. If you are using a zip-top bag, you may want to double bag it. (While Dawn is a great cleaner, I don’t know that I want it leaking in my freezer!) Then just put your bag in the freezer and you have your own ice pack. So simple and inexpensive! 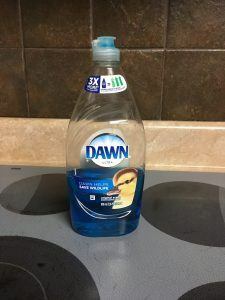 Another great use for Dawn dish soap is that you can clean your brushes. Wet your brush and dip it into some detergent and gently rub it back and back until it lathers. Rinse the brush out with water until the water runs clean and the suds are gone. Continue repeating this process until the brushes are clean. Lay flat to dry and allow to dry completely before storing. 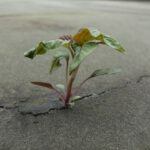 Tired of seeing weeds pop up through the cracks in your sidewalk or between your pavers but don’t want to use anything toxic. You are in luck. Try mixing one gallon of vinegar, one cup of salt and 1 teaspoon of dishwashing detergent. Once you have it mixed, go ahead and spray on those pesky weeds. Be careful of what you spray this on as it will kill all plants, including grass. This mixture probably won’t kill the weed’s root so you may have to spray it a few times or just pull the plant out after it’s died. Last fall, my truck alerted me that my tire pressure was low. A couple days after putting air in my tires, my tire pressure was low again. So I ask my husband to have a look at it and he asks me for the Dawn dish soap. He mixes the detergent with water and sprays it on the tire (you could also brush it on). Shortly after that, bubbles started forming and he easily found where the leak was coming from. Just watch for where the bubbles are coming from. So my last use is for fun! After all, who can’t use a little more fun! I haven’t tried this one yet, however, it’s on my list to do with the kids this summer. 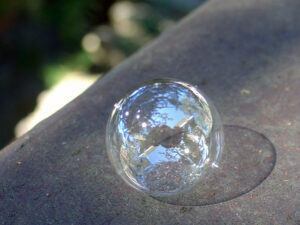 According to Home Science Tools, this homemade bubble recipe makes stronger and better bubbles. Even better, it uses inexpensive ingredients that I already have at home! Dip a bubble wand or straw into the mixture, slowly pull it out, wait a few seconds, and then blow. For extra fun, you can add food coloring or glow paint to the bubble solution. I hope you have learned some new ways to use your bottle of Dawn. I would love to hear if any of these worked for you or if you have any other ways you use Dawn dish soap. 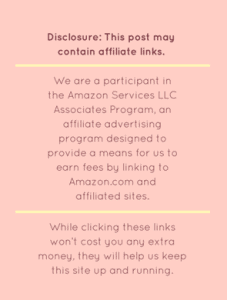 I would love it if you would share below for all of us to learn from. Also, if you have any questions, please leave them in the comment section and I’ll be happy to answer them. Wow! That’s awesome. Thanks for sharing. We thankfully haven’t had a flea issue in years but I will definitely keep that in mind! I had no idea about making icepacks like that!! I know. I didn’t realize that either until I wrote this post. I’m sure there are so many other uses for Dawn that I still haven’t discovered. I never realized everything you could use Dawn for! Thank you! I think this has become my new shower cleaner! I know! I love products that have many purposes. I would have never thought about using this as a weed killer, so great to know! I use the dawn and vinegar solution all the time and it’s amazing! 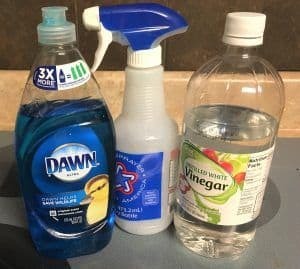 The different cleaning solutions are definitely how I used Dawn the most. They work so well and are so easy! 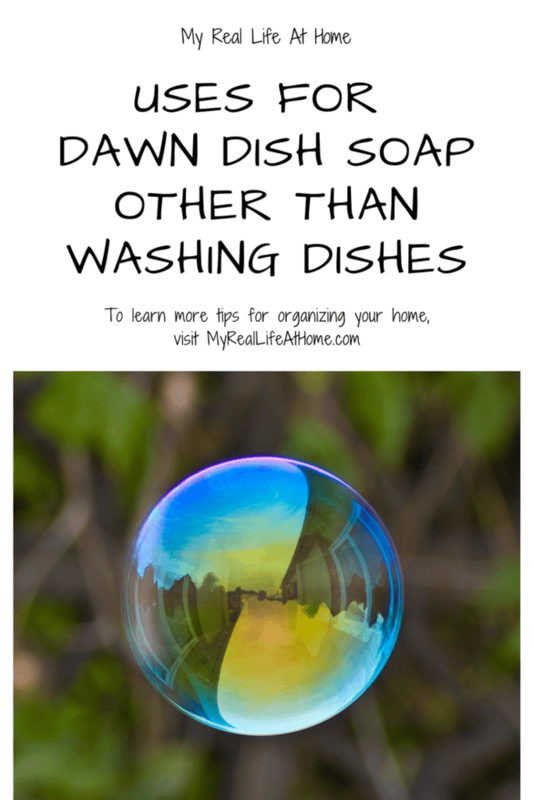 Wow, I had no idea dish soap was so useful! I’m pinning this so I can remember them all! It’s crazy and I keep finding even more ways to use Dawn! Great ideas. 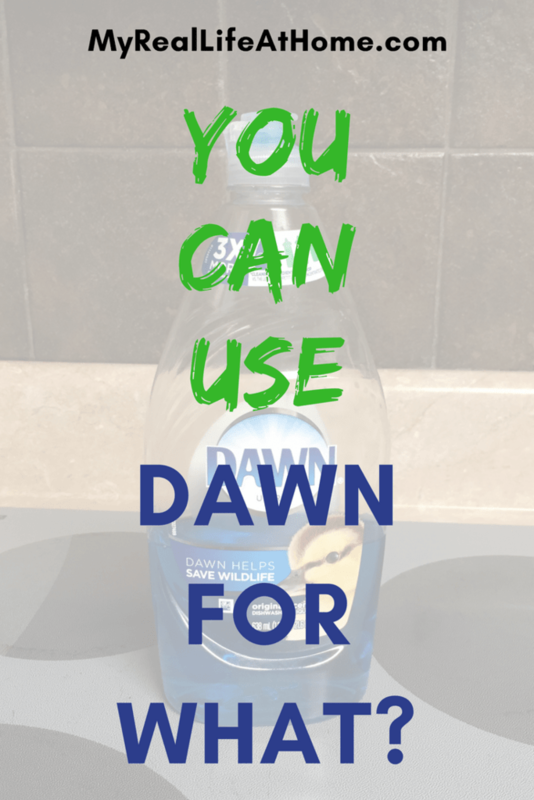 I use Dawn with some hot water on a dishcloth to wipe down my walls and baseboards about once a month. I have 3 pit bulls and they can’t seem to keep their paws and slobber off of my walls. I’m actually obsessed with blue Dawn dish soap. I’m glad to see I’m not the only one!! This is a must have in my house!! Absolutely. I actually keep finding new ways to use it! Glad you liked it. It’s amazing how versatile Dawn soap is! Dawn to find a tire leak?? That’s amazing! Dawn + vinegar is an excellent degreaser! Using the Dawn to find the tire leak worked so well. I was surprised and amazed!